Kitchens are a magical place because no matter what is going on in your home, they always seem to end up being the central location. Sure, people cook food in kitchens, but they also enjoy time hanging out with friends and family. More and more, people eat their meals in the kitchen as well. So we know you want your kitchen to look amazing. 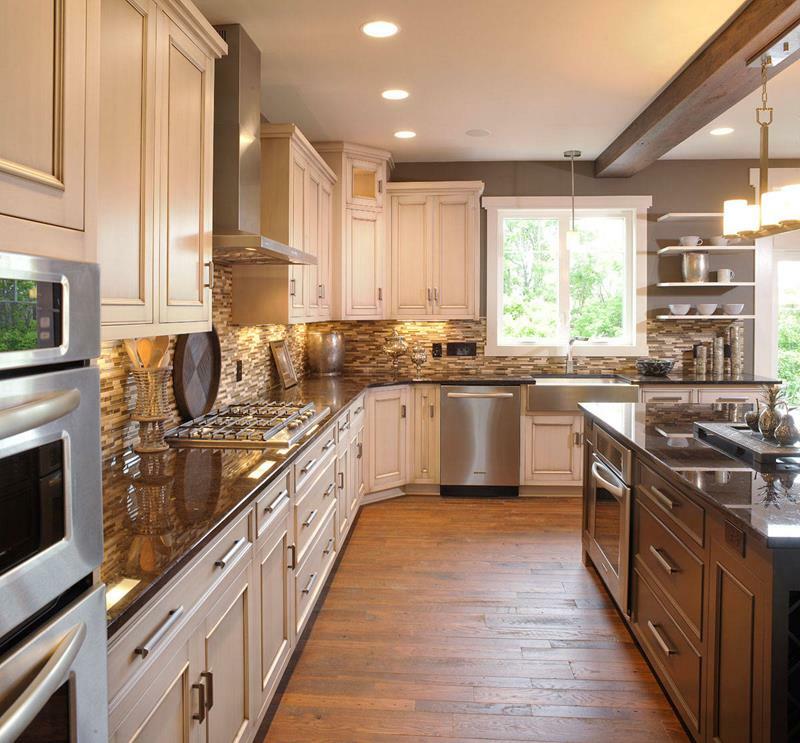 Though you may not think about it much, the color scheme of the kitchen goes a long way towards the overall look. You don’t want a boring, one color kitchen. Having two tones that balance perfectly off one another can give you the look and character you want. 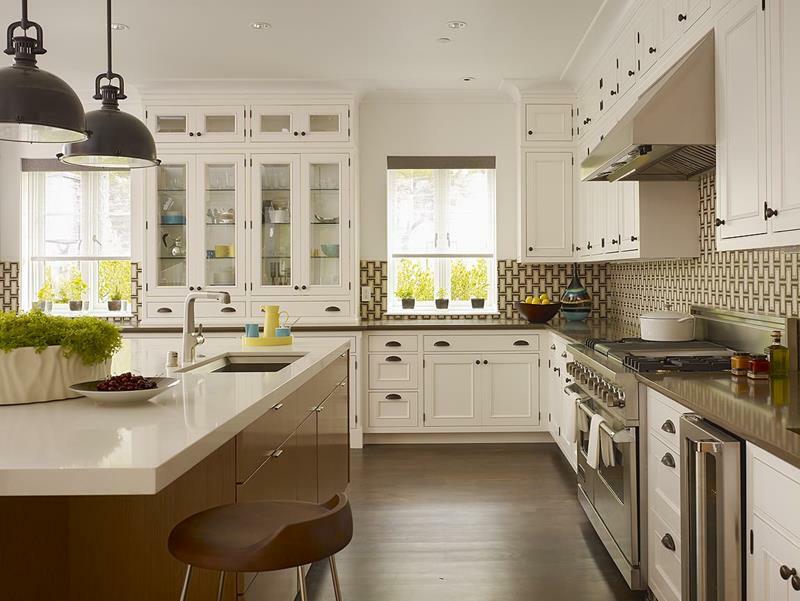 Below, we’ve gathered together over 20 kitchen ideas that make use of two color tones. You are going to love these and we are sure you will find some great ideas for your next kitchen design. 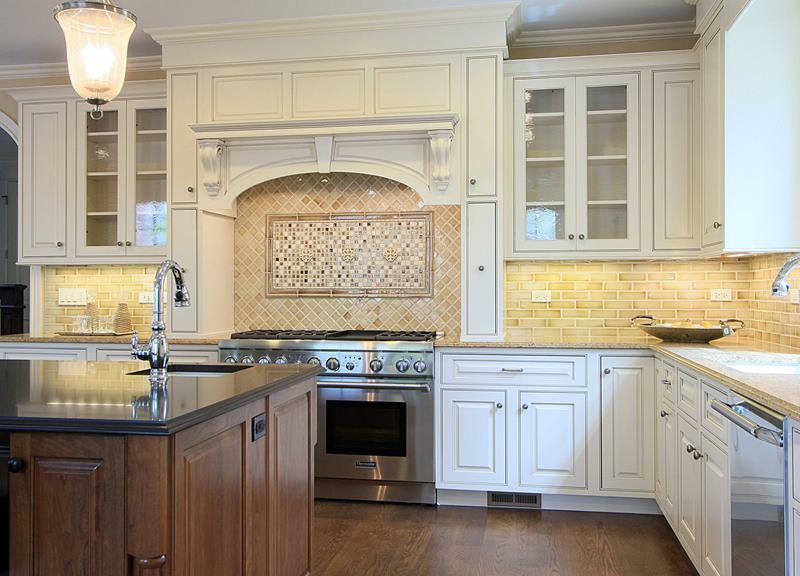 Between the dark hardwood and the lighter cabinets, this kitchen take a traditional style and makes is masterful. We love the classic structure and the elegance it brings. The darker hardwood used through this space is contrasted perfectly by the darker center island. 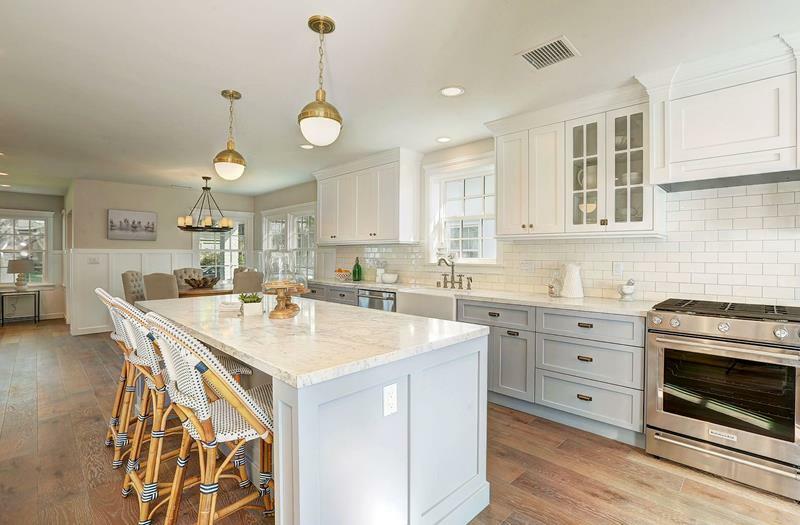 Clean, neat, and orderly, this kitchen creates a great blend with the darker drawers and island, the hardwood cabinets, and the light hardwood floor. 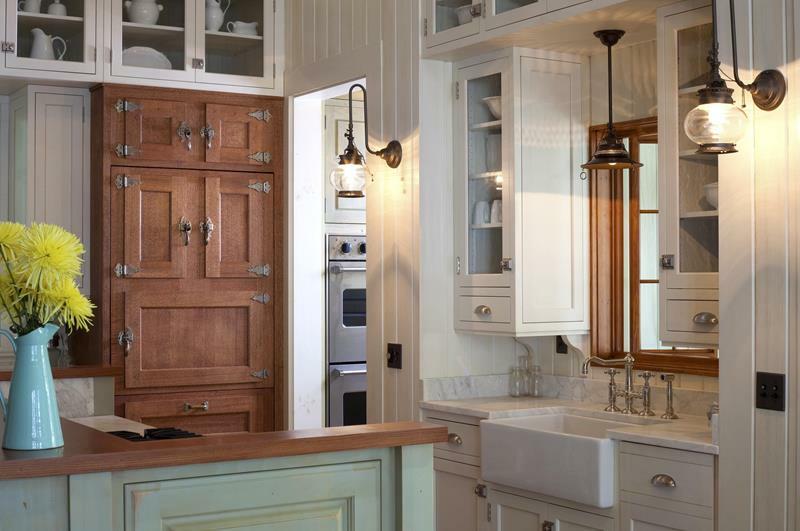 This charming country style kitchen blends multiple tones of hardwood and really makes it work. We love the bucolic look of this space. 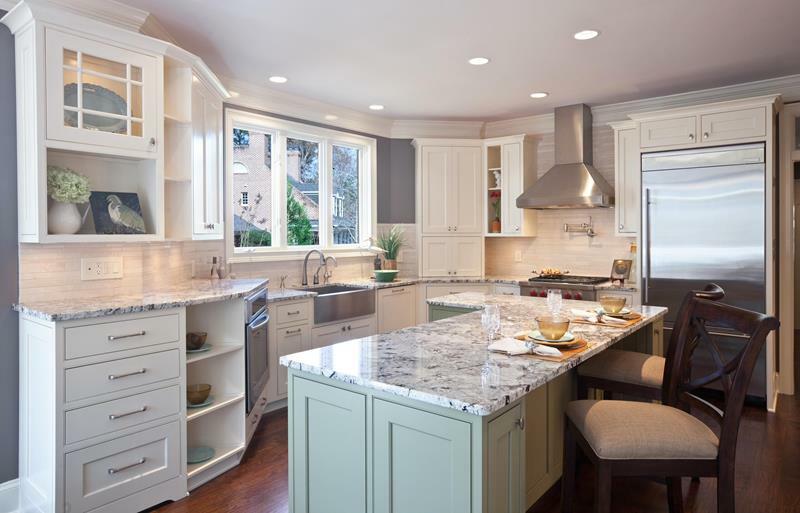 The white cabinets blend well with the light blue center island. Both create a great contrasts with the darker hardwood floor. The light stone for these walls set the tone for this beautiful kitchen, with the hardwood tones blending perfectly with one another. 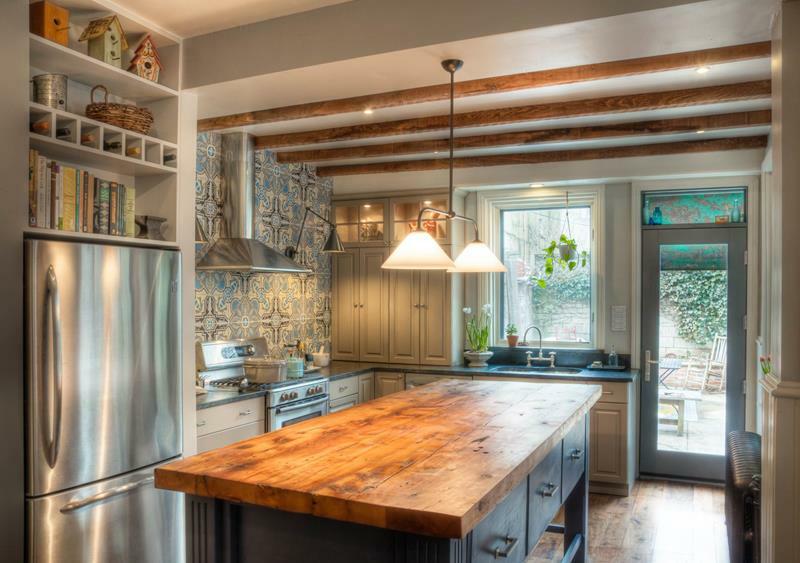 From the hardwood beams overhead to the island counter top and floor, this kitchen balances colors well. There is a country charm you will love about this space. The lighter cabinets give this room a contrast that balances well with the darker countertop, the hardwood island, and darker floor. There is an elegant contrast created in this kitchen by the white and black cabinet blend. We love how well it works with the darker hardwood floor. 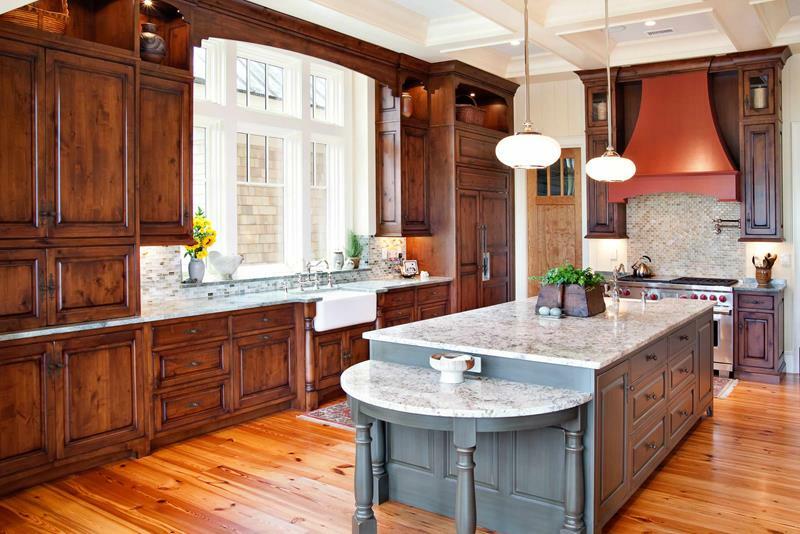 With a natural element thanks to the stone and hardwood, this kitchen blends light and dark colors masterfully. 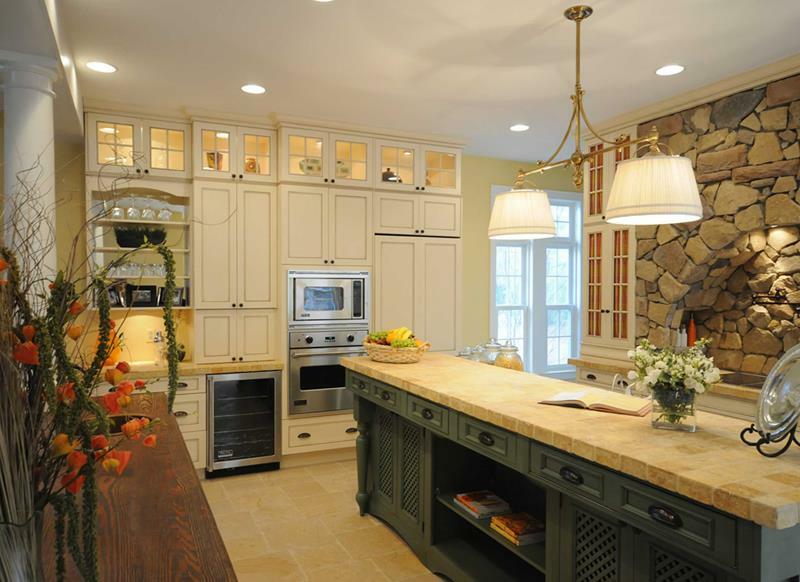 There is nothing complicated about this kitchen and the subtle color blends are simply amazing. 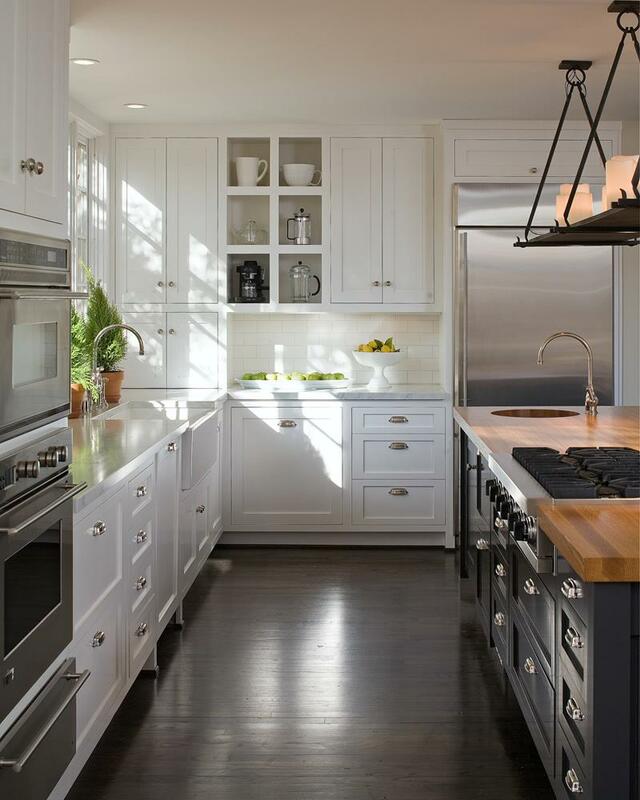 We love how well this space utilizes lighter colors and stainless steel. 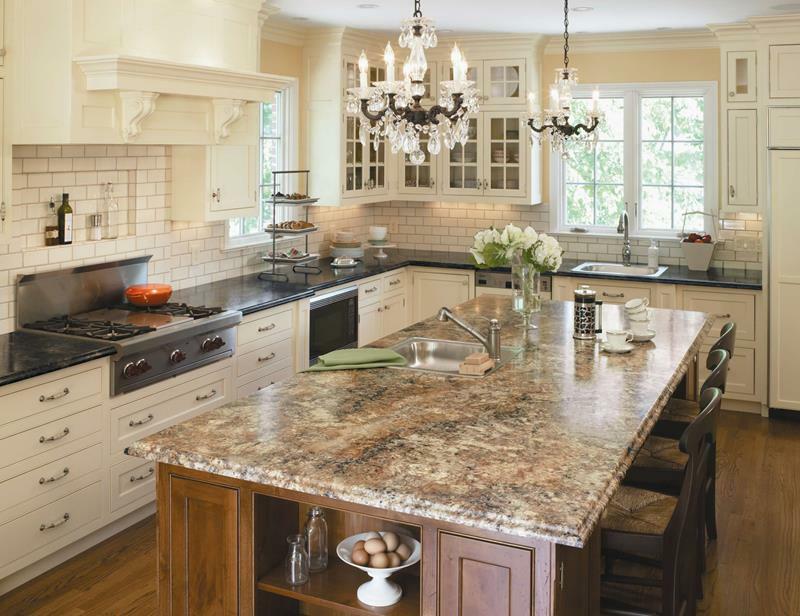 Check out how well the backsplash, countertops, and center island all match and contrasts with the lighter cabinets. This is a a really well designed kitchen. 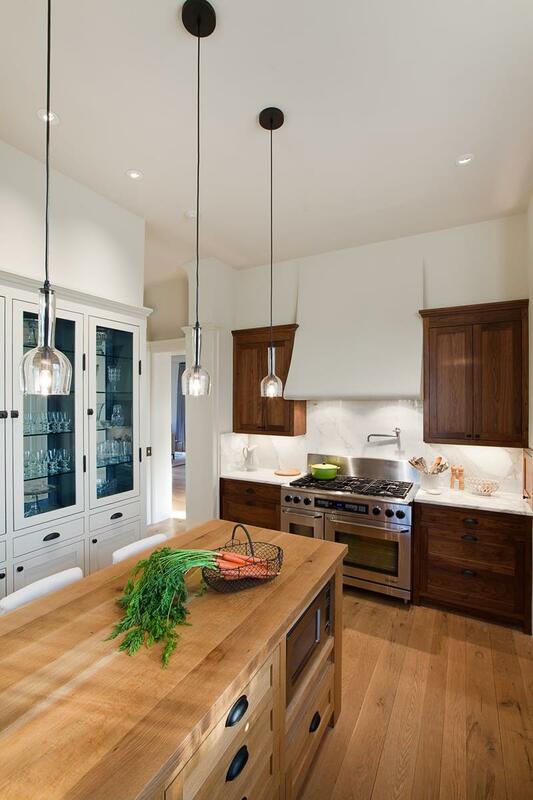 This kitchen takes a contemporary approach to style and has a great blend of hardwood and modern composites. The blue, white, and hardwood all work so well together. This hardwood center island has a bold style and we love how well it contrasts with the lighter traditional style cabinets. Photo by Steven Miller Design Studio, Inc. 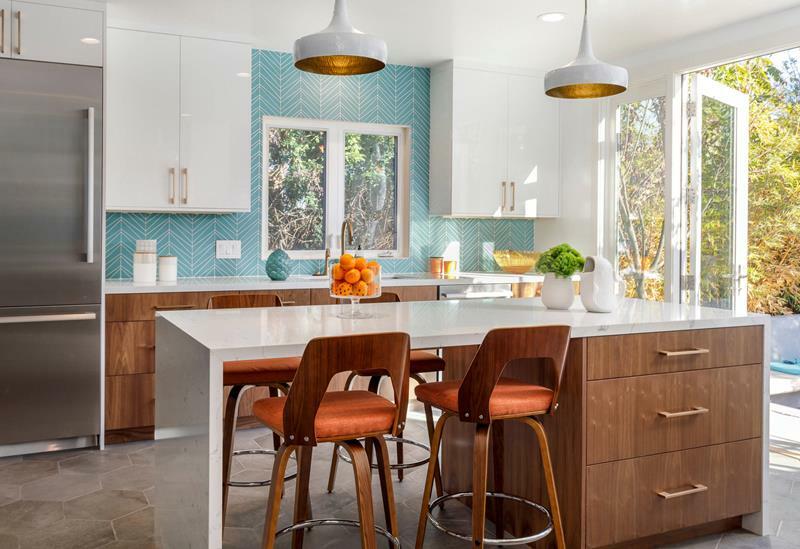 This kitchen has a sharp look to it and the color combinations work. 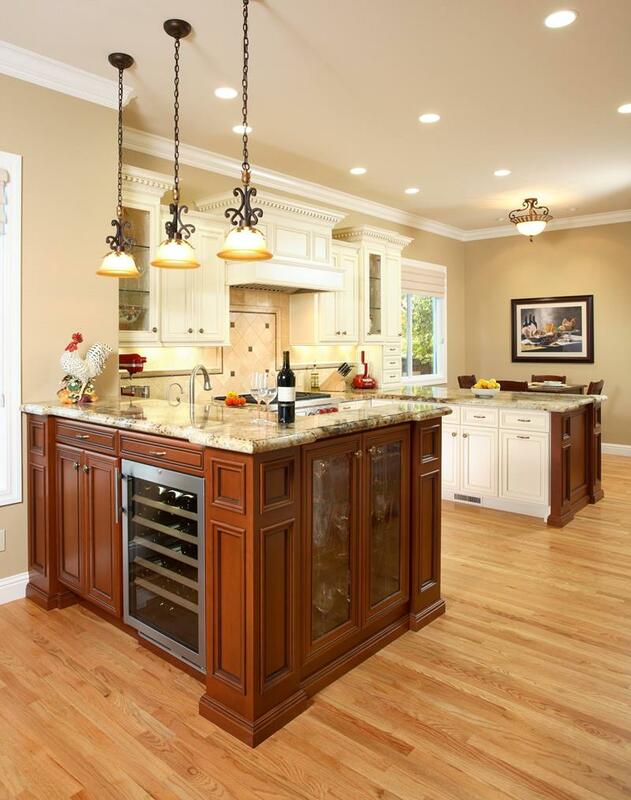 The center island and hardwood floor work together and are contrasted well by the lighter cabinets. 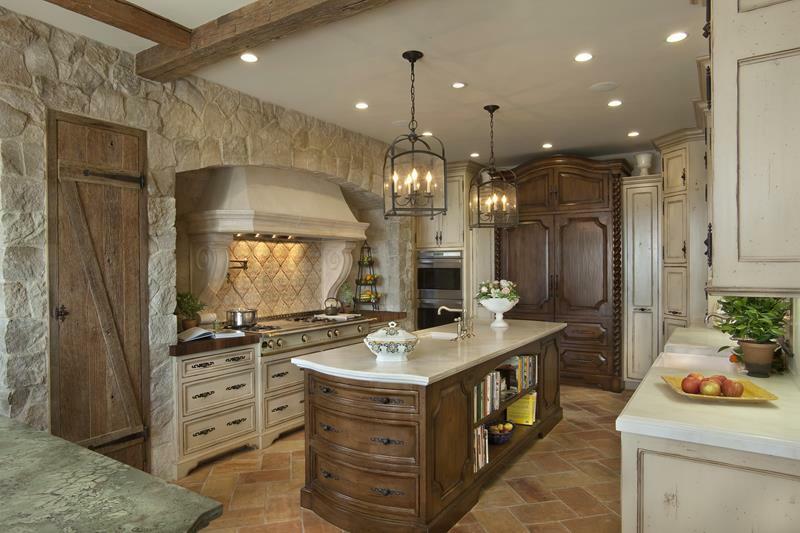 This kitchen take a traditional design and gives it some wonderful color tones to work with. 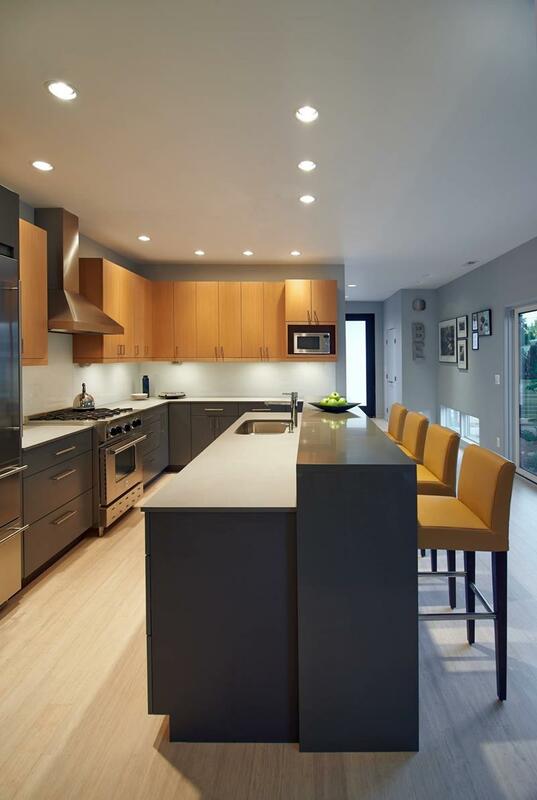 We love the gray center island and how well is contrasts with the hardwood around the kitchen. Two tones of hardwood can work really well together. 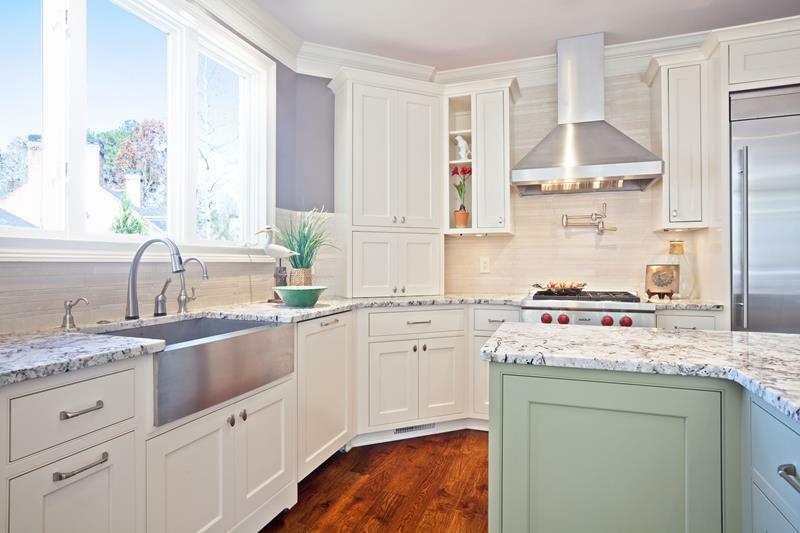 These cabinets and center island are matched well by the lighter backsplash and hood vent. 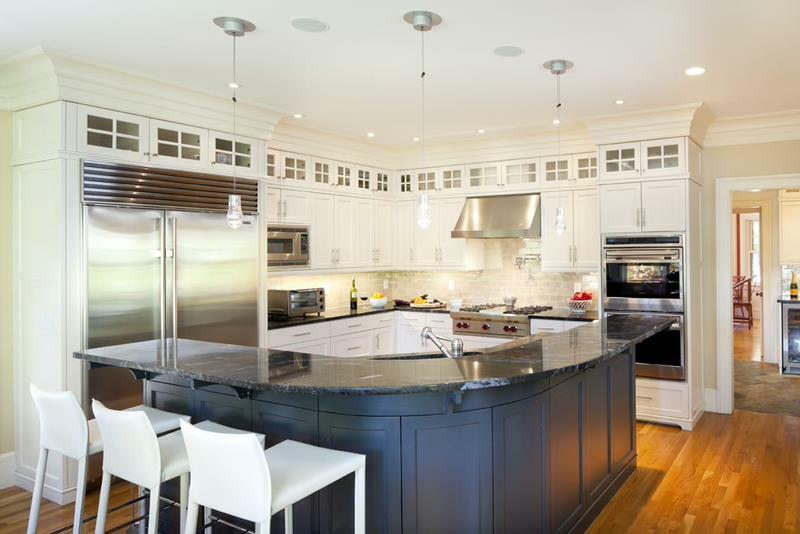 The exterior sections of this kitchen are marked by the darker hardwood while the main portion has wonderful light cabinets. We love the contrast it creates. The traditional cabinets in this kitchen have a light beige color that is wonderfully contrasted by the dark hardwood center island. 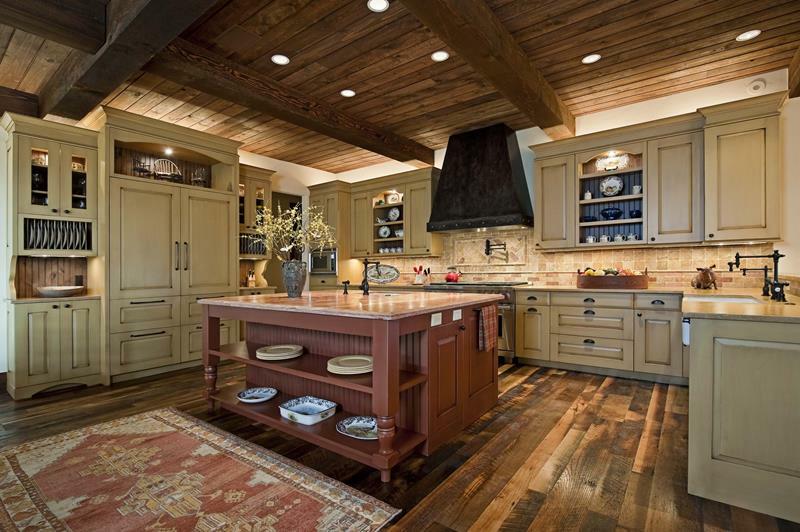 This kitchen masterfully uses hardwood and we love the color tones. From the natural look to the beige style cabinets, this space is beautiful. 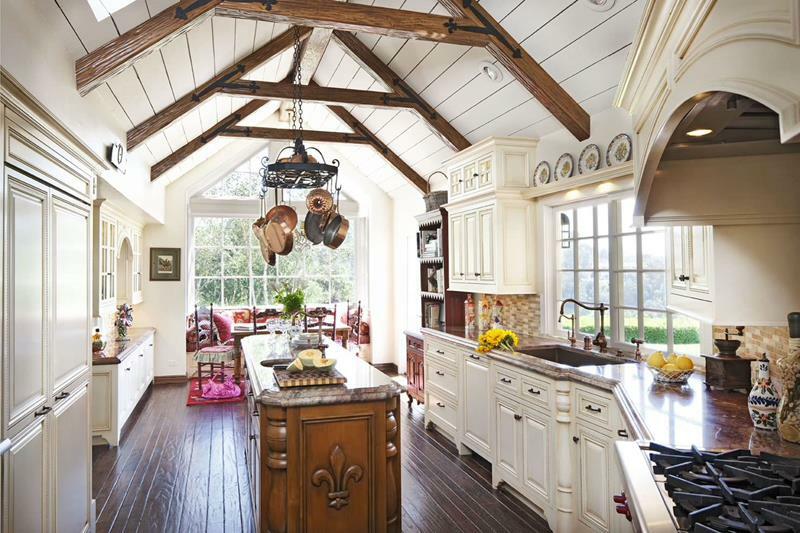 Take in the rustic country charm of this kitchen. Okay, now look at how well the multiple color tones work here. 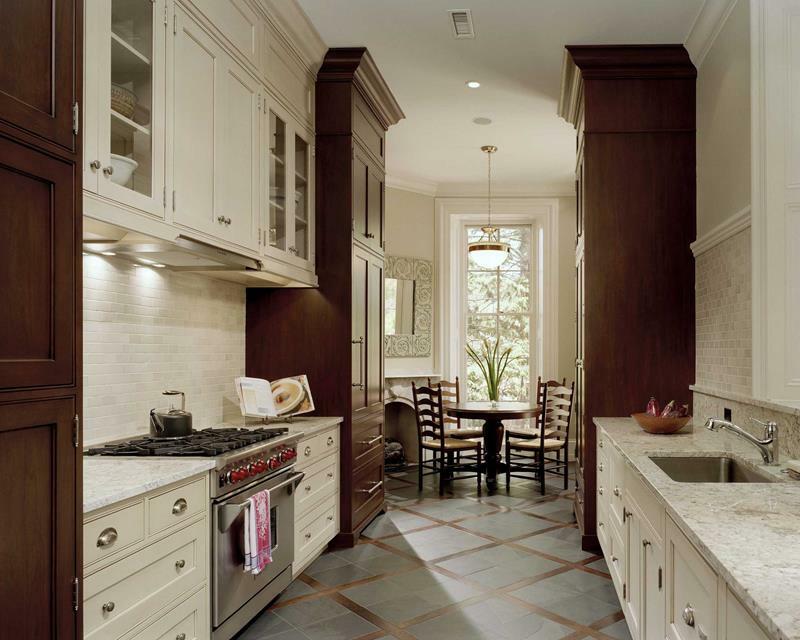 We love this whole space, from the hardwood to the light cabinets. 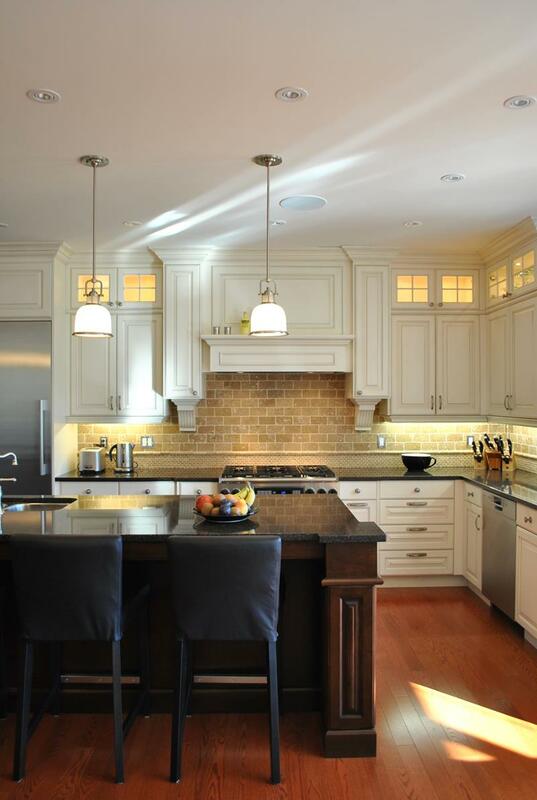 Yes, this kitchen is filled with light styles, but look at the subtle color blends with the cabinets. The color tones here work really well. 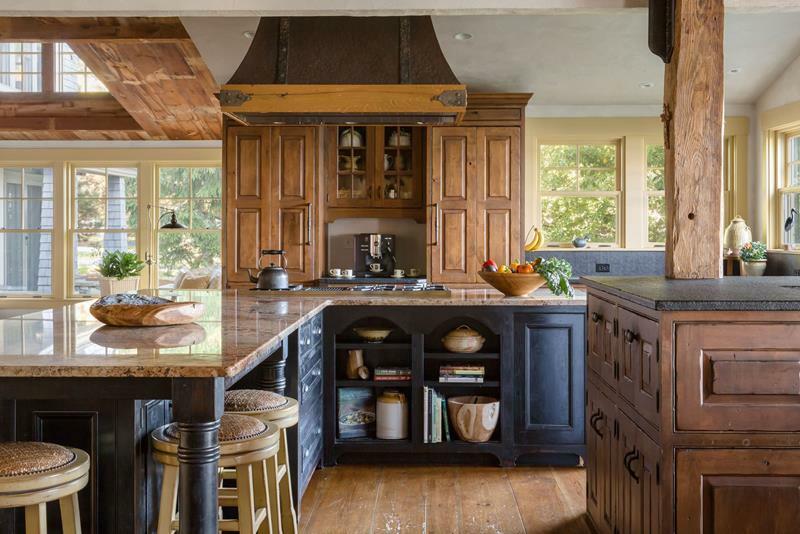 We love how this island takes a darker design. It has a great look and a wonderful countertop. This kitchen island is what creates the wonderful light and dark contrast in the kitchen. It is a perfect balance to the whole space.